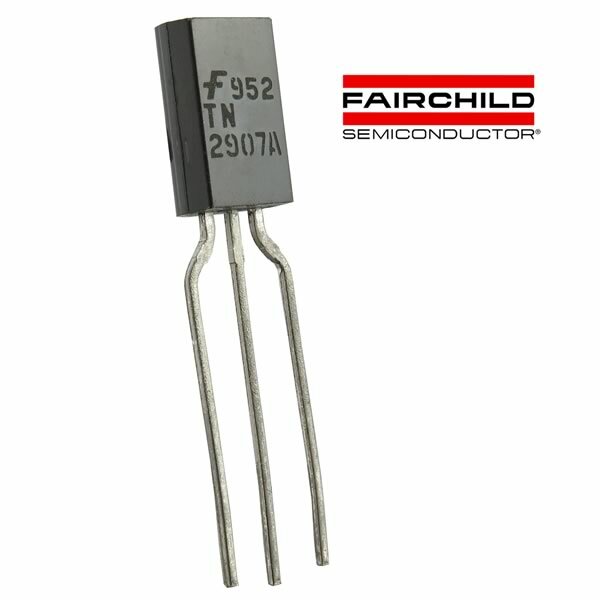 Fairchild TN2907A PNP silicon transistor is rated VCBO = 60V, VCEO = 60V and collector current-continuous = 800mA. Supplied in the TO-226 case. New old stock. Sold in a package of 20.